Easydial Inc. 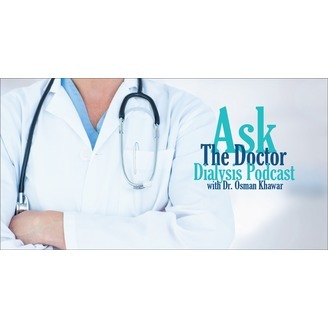 ASK THE DOCTOR Podcast offers Dialysis news, tips, advices and much more. 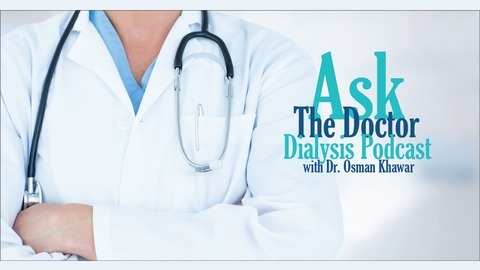 Hosted by Dr. Osman Khawar, a veteran nephrologist with over 20 years of experience. Medical Disclaimer: The information contained in the podcasts on this page is provided in good faith for general information purposes only and in not intended to be a substitute for professional medical advice, diagnosis or treatment. You are encouraged to consult your doctor concerning your specific health condition(s). EasyDial Inc. and/or its subsidiaries cannot be held responsible or liable for any advice, diagnosis or other information you obtain through the podcasts. We had the chance to meet with the President and Vice President of Home Dialyzors United! Home Dialyzors United, a 501(c)(3) non-profit patient organization, is the only dialysis patient organization dedicated to the home dialysis community. We really enjoyed learning more about their organization and what it stands for. Also, we learned about their motivating and enlightening personal experience with dialysis.